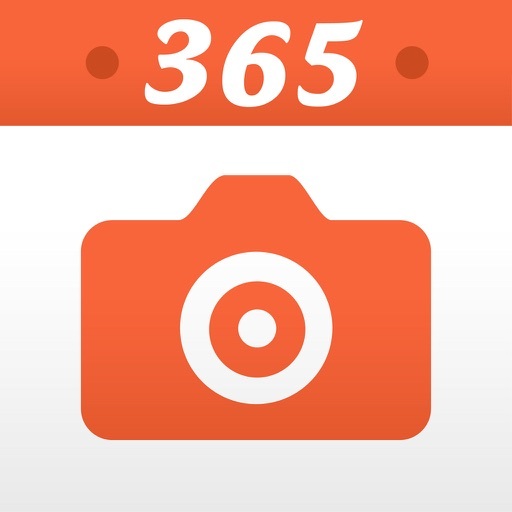 New: The best 365 photo app is now available for you to try for free! See why Apple named this App of the week around the world! Try the lite version for 14 days. You will love it! Upgrade to the full version for unlimited days. Now with iCloud! Enable iCloud on your iPhone and iPad, and have your photos and comment automatically sync when you open the app. No matter what device you are using, you will have your photos with you. Now is a great time to start your Photo 365 project! "Does what it should! 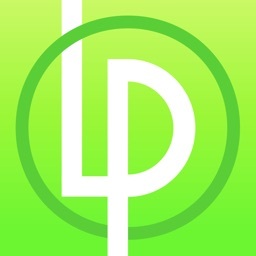 - Like this app - it has great functionality and it encourages me to remember to use my camera more!" 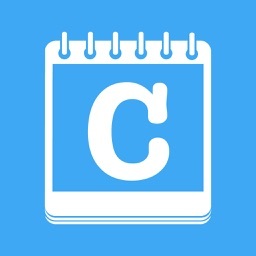 "Wonderful memories to look back to - I have been using this app since Aug of last year. I take a photo everyday of my new born son to see just how much he has grown." Remember your year, one photo at a time. 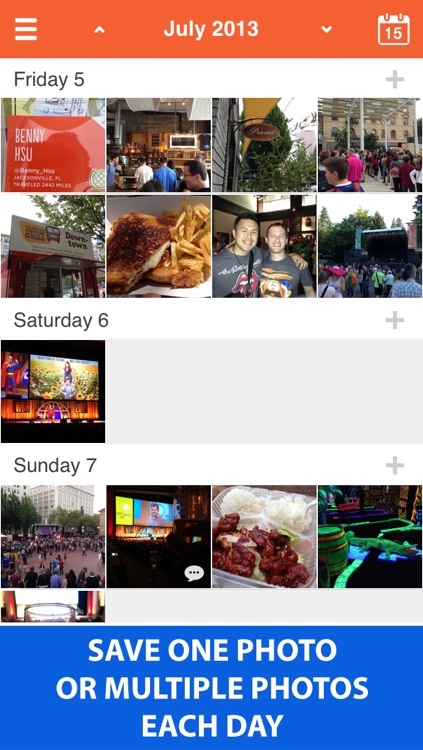 This app is about one thing: saving your best photo each day. People love to remember their year through their photos. If you want to take a photos of yourself for a year, Photo 365 is for you. If you want to take a photos of your newborn child every day, Photo 365 is for you. 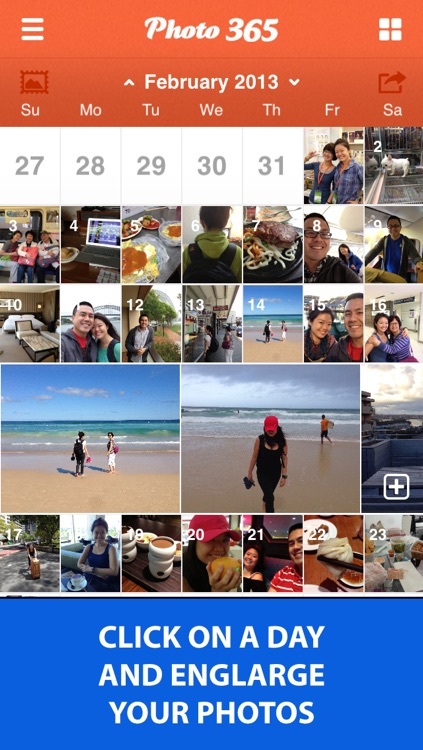 If you’re looking for a cool way to remember each day through photos, Photo 365 will help you save those photos. Whether you are just starting to take more photos or are a seasoned photographer, Photo 365 will make you love taking photos again. Try the app for 14 days.. If you love it, just upgrade to the full version. You can transfer your photos with iCloud. The design compliments the photos you add. Nice warm colors that make you really enjoying using this app. It’s easy to save a photo. You can choose from your camera roll, camera album, or take a new picture that will save directly to that day. You can also leave a comment. It’s that easy! You can view your photos by month. You will see a thumbnail in each day that you have saved a photo. A great way to quickly review your pictures for that month. 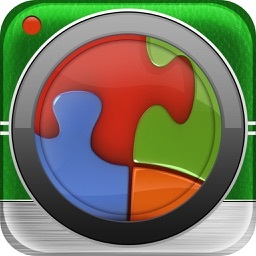 You can share your photos directly to Instagram, Twitter, Facebook, Flickr or email it. 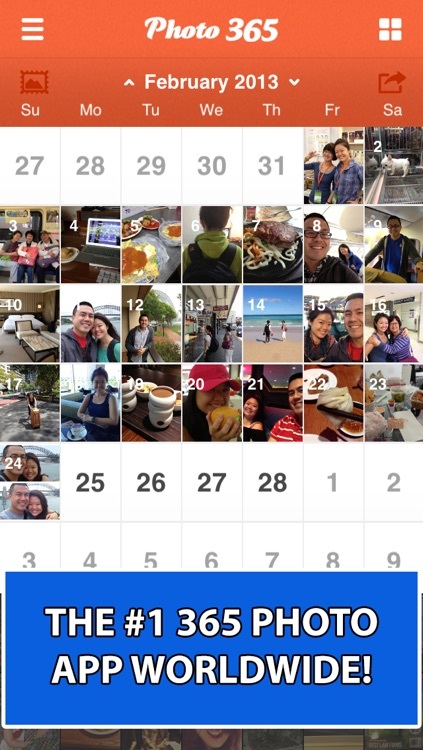 You can send individual pictures or if you’ve finished a month, you can share a snapshot of the whole month! 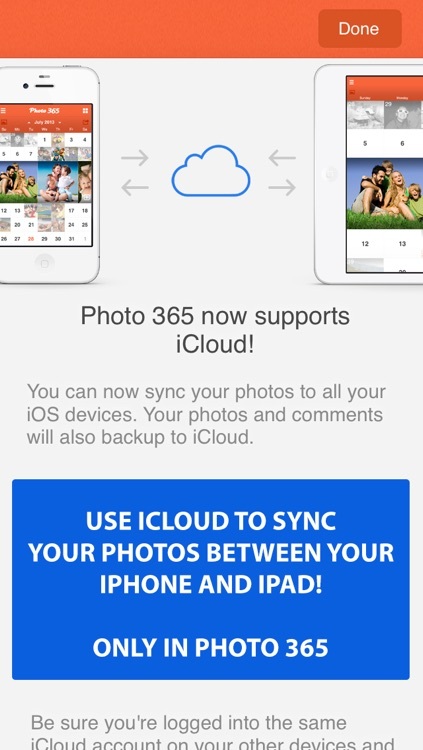 By using iCloud, you can automatically and wirelessly sync your photos between all your devices. If you love taking photos with the many camera apps and filters, Photo 365 app will be a great place to save those photos in one convenient location.